It's official I have a new web comic in the works called Creepie Ellie I even bought the domain www.creepieellie.com (that is why I say it is official =D ) Right now it is just a coming soon sign but more to come soon. Ellie, just a normal girl with unusual taste. Right now it is going to be a single panel comic that of course features Ellie. Keep looking back here for more updates on Creepie Ellie. 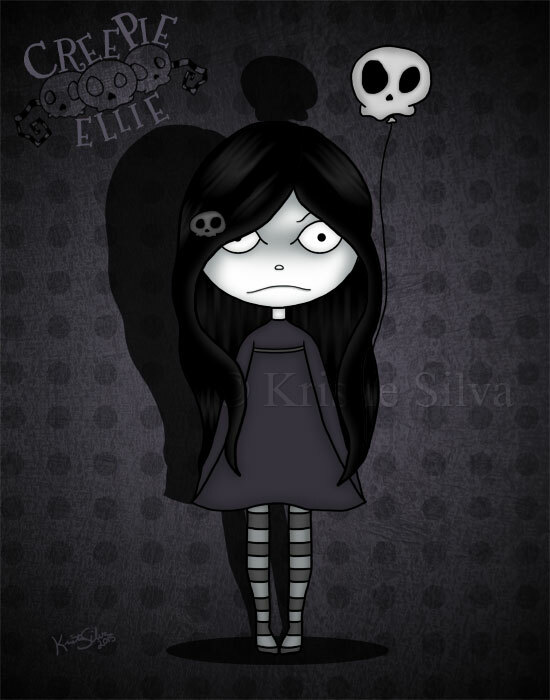 You can check out Creepie Ellie's Facebook page (here) and sometime today I will do a twitter account so you can get all the information from those two places.